Bad news for our alpaca duvets and pillows - our bedding manufacturer here in Dunedin has been placed in receivership and are unable to supply our New Zealand alpaca duvets and pillows. Really sad news for all involved at Ellis Fibre, its staff and various stakeholders. With the uncertainty we have decided to stop accepting raw alpaca fleece until we have established a fresh New Zealand supply source for our duvets and pillows of the same quality supplied by Ellis Fibre. Our next Alpaca Open Day is on Sunday 10th February 2019. Come visit our alpacas, see what we are doing with our alpaca fleece and listend to short talks and demonstrations on farming alpacas. Free entry - 10.30am to 3.30pm at 140 Three Mile Hill Road, Dunedin. Our next spring Alpaca Open Day is on a Saturday - Saturday 3rd November 2018. Come visit our alpacas, see what we are doing with our alpaca fleece, we have some young alpaca for sale, and through the day there are short talks on farming alpaca, anecdotal stories about alpacas and their habits, and demonstrations on handling alpacas. Free entry and plenty of parking - 10.30am to 3.30pm at 140 Three Mile Hill Road, Dunedin. For those attending our Alpaca Open Day on Sunday 6th May please note we will not have EFTPOS facilities (only cash or cheque) this time, and no toilet facilities on site - our apologies. The Open Day remains FREE entry - 10.30am to 3.30pm at 140 Three Mile Hill Road, Dunedin. As part of National Alpaca Day in New Zealand on Sunday 6th May 2018 we will be holding an Open Day at Flagstaff Alpacas. Free entry and with our small alpaca shop open we welcome all visitors to the farm. There will be plenty of alpacas meet, feed and lead as well as demonstrations on handling alpacas and alpaca fleece. Free entry - 10.30am to 3.30pm at 140 Three Mile Hill Road, Dunedin. Our next Alpaca Open Day is close and we have had ideal conditions around the farm for visitors. Come visit our alpacas, see what we are doing with our alpaca fleece and listend to short talks and demonstrations on farming alpacas. Free entry - 10.30am to 3.30pm at 140 Three Mile Hill Road, Dunedin. We do have some small wrapped bales to sell as alpaca feed - please mahke contact direct to purchase these bales - note each weighs over 40kgs - price $20+GST. We now live at ASURE 755 Regal Court Motel, in the centre of Dunedin. As we are committed to both our guests and our alpaca over the festive season and the 'heat' of a Dunedin summer, we can only offer visits exclusively to our guests to see the alpaca at the farm. Please make contact directly with our Motel (see our contact details) to book accommodation and an alpaca visit in advance. We have completed shearing over 220 of our alpaca - our Fleece Statistics from that shearing are now available - and many of our alpaca girls are giving birth. For pictures of new arrivals please see our Instagram page! We are pleased to say we are moving and taking over the ASURE 755 Regal Court Motel in sunny Dunedin. Farming ther alpacas will continue as normal and guests to our Motel will have the opportunity, exclusively by appointment and booking, to come visit the alpacas. Our first Alpaca Open Day for 2018 is on Sunday 18th February 2018 - 10.30am to 3.45pm it is free entry on our farm at 140 Three Mile Hill Road, Dunedin. Robbie Williams is in town that weekend so - be warned - Dunedin willl be busy! There will be plenty of alpacas to meet, handle feed and talk about, as well as short talks on farming alpacas, alpaca fleece sorting, discussion on alpaca fleece and its uses, alpaca handling and our alpaca shop will be open. If you are looking for alpaca shearing this season an experienced alpaca shearer has returned to the area. Please contact Hadley Johns - mobile: 022 321 8420 or e-mail: had_j@rocketmail.com . Please contact Hadley directly - we have not used Hadley oursleves but he can explain his extensive shearing experience. Our spring Alpaca Open Day is on Sunday 29th October 2017 - 10.30am to 3.45pm it is free entry on our farm at 140 Three Mile Hill Road, Dunedin. There will be plenty of alpacas to meet, handle feed and talk about, as well as short talks on farming alpacas, alpaca fleece sorting and Trish will be demonstrating sorting and spinning alpaca fleece in natural colours. If you cannot make the Open Day then we will be at the Taieri Showgrounds, Mosgiel, on the afternoon of Saturday 28th October at the Lifestyleblock EXPO organised by Murrays Vets and Edinburgh Realty. We continue to focus on our various alpaca products and hope you take the opportunity to review those currently available on our website. We are seeking interested parties, either partners or purchasers, to buy our main commercial alpaca herd. Details are attached for review and we ask any interested parties to make contact. 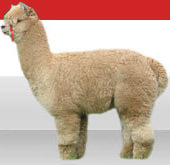 We are happy to sell small or large packages of alpacas as advertised, or the whole herd. Good article in the New Zealand Alpaca Association Magazine on fake New Zealand alpaca product titled 'Hefty Fines - For Fake Alpaca Claims' by Cilla Taylor. Be assured our alpaca product and Gondwana Kits are genuinely New Zealand made - except for our stuffed white and tan alpaca toys. Our alpaca duvets - made here in Dunedin - include an authenticity certificate certifying the alpaca in the product. We have small wrapped bales of baleage available for sale - each bale is greater than 45kgs and makes excellent feed for groups of alpaca or other livestock such as horses. We can deliver - price example for a 'van load' is $500 for 20 bales including GST. We can deliver locally to around Dunedin for small delivery charge. Baleage is from the Taieri area near Mosgiel. We do have fresh meadow hay also at $12 per bale. If you are looking for current pictures of our alpacas and associated alpaca events then please review our Instagram or Facebook accounts for details. Generally updated regularly each week you can see our alpaca being farmed on the Otago Peninsula and below Flagstaff in Dunedin. Our spring Alpaca Open Day is on Sunday 29th October 2017 - 10.30am to 3.45pm it is free entry on our farm at 140 Three Mile Hill Road, Dunedin. There will be plenty of alpacas to meet, handle feed and talk about, as well as short talks on farming alpacas, alpaca fleece sorting and our plans for shearing in November. We have small wrapped bales of baleage available for sale - each bale is greater than 45kgs and makes excellent feed for groups of alpaca or other livestock such as horses. We can deliver - price example for a 'van load' is $500 for 15 bales including GST. We can deliver locally to around Dunedin for small delivery charge. Baleage is from the Taieri area near Mosgiel. We continue to focus on our various alpaca products and hope you take the opportunity to review those currently available on our website. We are seeking interested parties, either partners or purchasers, to buy our main commercial alpaca herd. Details are attached for review and we ask any interested parties to make contact. Our National Alpaca Day for 2017 is this Sunday 7th May. We will be holding an Open Day to welcome guests and talk alpaca - 10.30am to 3.30pm it is free entry on our farm at 140 Three Mile Hill Road, Dunedin. There will be plenty of alpacas to meet as well as various alpaca products we make from our alpaca fleece. All Welcome! Our first Alpaca Open Day for 2017 is this Sunday 12th February 2017 - 10.30am to 3.45pm it is free entry on our farm at 140 Three Mile Hill Road, Dunedin. There will be plenty of alpacas to meet and talk about. Note there are no toilet facilities at the farm currently. The day will not be cancelled whatever the weather as we have large sheds for cover if raining. We have small wrapped bales of baleage available for sale - each bale is greater than 45kgs and makes excellent feed for groups of alpaca or other livestock. We can deliver - price example for a 'van load' is $500 for 15 bales including GST. We can deliver locally to around Dunedin for small delivery charge. Baleage is from the Taieri area near Mosgiel. Sorry we do not have small hay bales for sale this year. Our first Alpaca Open Day for 2017 is is Sunday 12th February 2017. 10.30am to 3.30pm it is free entry on our farm at 140 Three Mile Hill Road, Dunedin. All welcome - more details on our Diary page. Visits are welcome at other times but strictly by appointment, especially just before Christmas to visit our alpaca shop and see our latest baby alpaca (cria) arrivals. Post-shearing we are seeing new arrivals of young cria around our farm areas - see our Instagram pages for latest pictures. Visits are welcome to meet our alpacas and see our alpaca shop but strictly by appointment. In our alpaca shop the latest new arrival is beautiful scarves in 100% alpaca. See our on-line shop for these gift ideas. If you are looking for shearing of small groups of alpacas (and sheep) please contact Nigel Wood (Invercargill) DIRECT. He covers North and South Island and should be back in Southland/Otago early December. Nigel is an independent contractor and must be contacted directly. Contact details: Mobile/Text: 027 468 1903. Tel: 03-231 3112. Our next alpaca fleece collection for the North Island is from around 28 February to 4 March 2017. Wellington, Palmerston North, Feilding, Tauranga, New Plymouth and Hamilton are already collection destinations - please make contact if you have volumes of alpaca shorts for sale. First Alpaca Open Day for 2017! Our next Alpaca Open Day is Sunday 12th February 2017. 10.30am to 3.30pm it is free entry on our farm at 140 Three Mile Hill Road, Dunedin. All welcome - more details on our Diary page. Visits are welcome at other times but strictly by appointment. Don't forget our next Alpaca Day is Sunday 30th October- free entry and all visitors welcome to see our farmlet, our alpacas and what we are doing with our alpaca fleece and alpacas. 140 Three Mile Hill Road, Dunedin - 10.30am to 3.30pm - alpaca product will be for sale and our focus is short talks and demonstrations on farming and handling alpacas as well as fleece preperation. We are seeking five tonnes of New Zealand alpaca fleece shorts (low & medium quality blanket, belly, legs, necks, tails, second cuts) suitable for our alpaca duvets and pillows from the coming 2016/17 summer shearing season. Any colours and micron the lengths should be 30mm to 150mm and 'greasy' with low VM - please pack well! We are paying, at our farm gate, for white and light fawn (W/LF) $5/kilogram ( length 50mm to 150mm) including GST, and $3/kilogram including GST for all other colours (length 30mm to 150mm) - we accept any alpaca fibre supplied at these prices and any W/LF must not be contaminated with other colours. Please call to organise delivery or we can organise collection for packed lots over 50kgs! We are not currently sourcing W/LF high-quality blanket but know of purchasers paying $17.00/Kilogram. Fake alpaca duvets feature again in the news - the latest is the Commerce Commission's successful prosecution - their 5th conviction - of fake alpaca duvets being sold in Rotorua and Auckland. More details on the Stuff website but everyone loves alpaca, especially in a duvet. Just make sure you are getting what you expect - buy our duvets and the duvet includes an authenticity certificate. Our next event is on National Alpaca Day - free entry and all visitors welcome to see our farmlet, our alpacas and what we are doing with our alpaca fleece and alpacas. 140 Three Mile Hill Road, Dunedin - 10.30am to 3.30pm - alpaca product will be for sale and our focus is short talks and demonstrations on farming and handling alpacas as well as fleece preperation. Visits at other times strictly by appointment - thanks! If you are looking for current pictures of our alpacas and associated alpaca events then please review our Instagram or Facebook accounts for details. Generally updated at least 10 times a week you can see our alpaka being farmed on the Otago Peninsula and below Flagstaff in Dunedin. Our next event is on National Alpaca Day - free entry and all visitors welcome to see our farmlet, our alpacas and what we are doing with our alpaca fleece and alpacas. 140 Three Mile Hill Road, Dunedin - follow the pink arrows. 10.30am to 3.30pm - alpaca product will be for sale and our focus is short talks and demonstrations on farming and handling alpacas as well as fleece preperation. Please note there are no facilities on farm currently - our apologies - and please read our leaflet on Health and Safety around a working alpaca farm whlie visiting - thanks! With such a mild autumn happening and forecast winter feed does not seem a concern. We have had satisfactory hay production but not sufficient to sell any feed this year. We have moved a number of our alpacas to a small farm holding above Macandrew Bay. Gorgeous pasture and hill country for the alpacas - and wonderfully supervised by the resident family who don't mind getting up-and-personal with our alpacas. Se the views on our Instagram or Facebook pages of the views from the farm! Ever alpaca loves a view .... and the high ground! As part of New Zealand National Alpaca Day our next Alpaca Open Day is on Sunday 8th May 2016. Free entry - from 10.30am to 3.30pm. Come visit our alpacas and alpaca shop - at 140 Three Mile Hill Road, Dunedin. Take the chance to meet, feed and talk to an alpaca ... or many ... and to take an alpaka for a walk! Our next Alpaca Open Day is on Sunday 21st February 2016 - free entry - from 10.30am to 3.30pm. Come visit our alpacas and alpaca shop - at 140 Three Mile Hill Road, Dunedin. Take the chance to meet an alpaca ... or many ... and to take an alpaca for a walk! If you are sourcing alpaca livestock then visitors are welcome on the Open Day or by appointment before that. Our next alpaca fleece collection for the North Island is from the 3rd to 8th March 2016. Wellington, Palmerston North, Tauranga, New Plymouth and Hamilton are already collection destinations - please make contact if you have volumes of alpaca shorts for sale. Post shearing in December 2015 our fleece statistics (micron, fineness, SDs, variance for each tested alpaca) from NZWTA have arrived and make interesting reviewing. Some are now included through this website.